Steve Ballantyne, founder of STATION Cold Brew, knows a thing or two about running a successful startup. When he’s not taking care of business at STATION, overseeing the direction of the company and personally delivering products to clients, he can be found at his other business, Neighbourhood Buzz, handling the community development and marketing for institutional real estate investors. After meeting at the Art of Entrepreneurship, I sat down with Steve to discuss the lessons he’s learned while running STATION Cold Brew, and any advice he has to share for entrepreneurs that in the process of getting their startup off the ground. He touched on ways to save costs while running a startup, the importance of spending a little extra on branding, the importance of being involved in the startup community, and more. 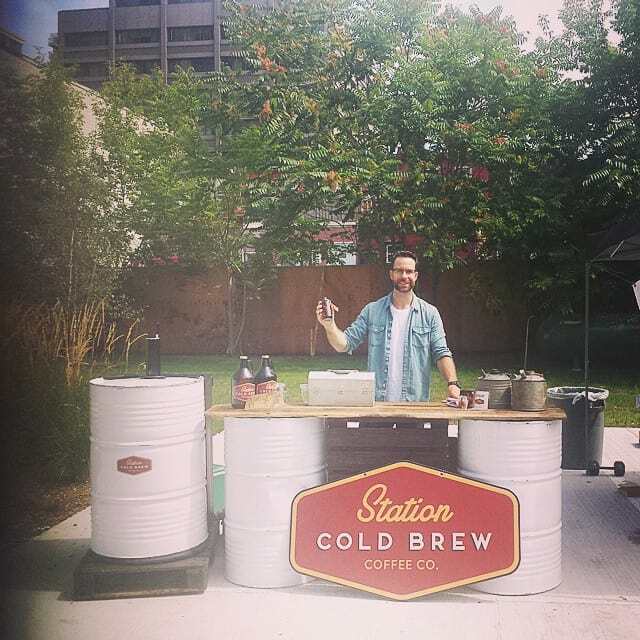 Neil: Can you explain the concept behind STATION Cold Brew? Steve: We’re Toronto’s first company dedicated to cold brew coffee. Cold brew coffee differs from “traditional” coffee in that it uses time, not heat, to brew coffee from beans. Letting cold water slowly infuse with the coffee beans results in much smoother coffee, and brings the best out of the beans. Since it’s my money at stake, it makes things a little more real. A health benefit of cold brew is the reduced acidity—up to 70%. We also strive for a low impact operation, using recyclable options to deliver our cold brew to customers. How have you managed to bootstrap the start-up of a beverage company? That’s a good question. I’ve been running another company out of the Centre for Social Innovation (CSI) for almost four years now called Neighbourhood Buzz. We do community development and marketing for institutional real estate investors, mostly in the apartment space. So, real estate is really stable and really slow moving, and after doing that for quite a while, and that business stabilized, I starting getting kind of antsy and began looking for another challenge and other opportunities, and discovered cold brew while travelling to CSI’s location in New York. The way we’re doing it right now is that I’m funding STATION from my existing marketing company in real estate. That’s quite a difference, real estate to cold brew—that has got to be fun. Yeah, it’s completely different. I’ve thought about it for a while, whether that was smart [starting a cold brew company], because I’m not leveraging my existing network or connections. But for me, I’ve loved it because it’s so fast moving. We’re in a little more control because I’m not trying to convince a client to do something—I can just do it myself. And what’s been interesting is that I’ve been learning a lot, actually, for both companies, because things I previously needed client permission for at Neighbourhood Buzz, I can now just do through STATION. Since it’s my money at stake, it makes things a little more real. If something works for STATION, I’m able to see if there’s anything I can pull out of that, which might apply to my clients in real estate as well, so, even though they have nothing to do with each other, there’s still some relevant learning I get. As a start-up, money can be tight at times. How do you contain costs? Pretty much everything we do is community based. So for example, we share office space; we don’t lease a full office or own a building, we share an office space with another business, and then we share that space with the larger community at CSI. We do the same thing for our kitchen; it’s a shared kitchen space that we’re just renting by the hour when it needs to be used. We do the same thing with transport—we use Zipcar to get around—so it’s shared cars, essentially. If I can get it down to one word, it’s “sharing”. Everything is shared. The office, the kitchen, the cars, everything is shared with someone else, so we’re only charged for our exact use of those things. I worked at a startup for a few years and it was the same thing – we shared the office, kitchen, cars, and more. Yeah. This is my fourth go at stating a business. The first company was a really small commercial recycle service—I purchased that one, ran that for a couple years, sold it, but it was very much a lifestyle company, and very small—the other one was a marketing company, the third one was Neighborhood Buzz, and the fourth one is now STATION Cold Brew. I’ve also learned what to spend money on and where to save money through those experiences. For example, at the beginning, we spent a lot of money on the branding [for STATION]. We spent a lot of money finding the right look, the right feel, the right name, the right logo, all those things, because, through my past experiences, I learned that branding is an area you don’t cut corners. An area I do cut corners is something like delivery, I use a bicycle and do the deliveries myself when I can. You know, I’m trying to save costs wherever I can, but not in any way that would impact our brand or impact the customer’s experience of our brand as well. One thing I learned from my past businesses is using your strengths, and then getting together a team that brings other strengths to the table that I lack in. What are the challenges unique to a beverage start-up? Our unique challenges are a subset of the beverage category. We need constant refrigeration, and have a 30-60 day shelf life, and those challenges are shared by companies that I feel a lot of camaraderie with—Kombucha companies, companies doing cold press juices—it’s part of a larger wave of healthier, local beverages, and we’re all facing the same challenges: shorter shelf life and the need for refrigeration. With companies like Coke, Pepsi, or even Red Bull, their beverages can stay room temperature for months, even years at a time, but the reason they can do that is because the beverages have certain additives, or are made in a way that’s good for storage, but not necessarily good for ingesting or drinking, or good for your body. I would like to think the local beverage companies are trying to bring a healthier option, but with that healthier option comes the cost of a shorter shelf life. So that’s a unique challenge we’re facing right now. I really like the design—from your business cards, to your logo, to the website—what has been your creative process been like from when you initially started, to where the company now is today? One thing I learned from my past businesses is using your strengths, and then getting together a team that brings other strengths to the table that I lack in. So, my strengths aren’t necessarily in the creative areas, such as art direction, and definitely not design, so then key for me has been finding the right people to surround myself with that get the vision of the company, and are really talented at what they do. The processes of coming up with everything, from the website design to the logo, all shared a similar process. I sat down with my art director and my marketing guy, and sometimes the brew master as well, and we came up with the values of the company and we talked about who our customers are, their problems, and our UVP, which we all got from the Lean Business Canvas. I love the Lean Business Canvas—I use it regularly. So we came up with those by filling out that chart, and then we sat down with our designer and we communicated those insights, and then they would send us back maybe seven or eight iterations of what they thought a logo, for example, would look like that reflects those values. And throughout that process we go back three or four times, we come down to a final product, and then we all approve it when it’s done. That’s how we created everything from the logo to the website. To be honest, there’s also been a little bit of luck. One of our friends is starting a company, James McBain Creative, doing all different types of unique woodworking, and he built the Kegerator for us. He built that without too much creative direction from us, and we loved it so much that it’s really become the foundation for our market setup. We told him what we like—a 50’s gas station, sort of vintage feel—and he came up with the Kegerator and it fit perfectly. Everything has just sort of grown from the Kegerator, including the use of the fuel drums and the barnboard [with our market setup]. So, there’s a bit of direction, but I also think there’s a bit of serendipity in finding the right people, and simply recognizing something that works. 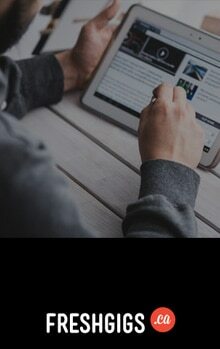 Are you involved in the “start-up community” in Toronto? I’m very involved at the CSI. I’m a big proponent of the CSI and that community, which includes startups, non-profits, and different types of entrepreneurs. It has been essential in this process because it has essentially been a mini-marketplace. I have access to 100’s of people through email; it’s very easy for me to reach everyone. For example, we held two tasting events this past spring. First we were trying to find a brew master, so we had a couple people brew different cold brew recipes, and we kind of compared them and tried to find the right fit for our company. Once we found the right brew master, the next tasting was a partnership with CSI where CSI provided breakfast, and we provided 3 different flavours of cold brew coffee to get feedback on. I was able to do [hold that second tasting event] easily. I approached the staff at CSI and proposed this idea of, “Hey, would you throw a breakfast for the CSI members, and I’ll bring the coffee?” and they were immediately onboard for that. I was able to easily email invite everyone within CSI, and that event, I’d say, brought 45-55 people that came through over a two-hour period. They all had some breakfast, tried some coffee, and provided feedback on the flavours they liked, and on the look and feel of our logo. And because it’s CSI, and it’s a fairly magical place, while we were doing that tasting a CBC News crew came through with Thomas Mulcair, the leader of the NDP, and he tried our cold brew in front of the CBC News cameras, said it was delicious, and went on his way. I don’t know if that ever made it on air, but that’s the type of stuff that seems to happen in space where you have a strong community of entrepreneurs who are working hard and hustling—it becomes like a hub, where all these types of interesting people come by. That type of stuff is so valuable when you’re a startup. And it’s actually validating, because you have people trying your product before you resemble a company at all, when you’re really still just an idea—you know, a couple guys with some coffee, that’s really all you are—and you already start to feel like a real company, which is important at that stage. As you often have to wear “many hats” in a start-up role, what are your tips for staying focused and productive? I think the important thing, and this is hard, is really knowing what you’re good at. It kind of sounds cliché, too, knowing what you’re good at, and asking for help when you need help. Our website, for example, was probably a month late because, for some reason, I thought it would be a good idea for me to take that on. So, I’m using Squarespace, it’s supposed to be really easy, and it’s so frustrating when people are like, “Yeah, use this it’s so easy,” and I still can’t do it. And I’m trying to figure it out and I can’t get it to work properly. Two weeks go buy and we’re facing these really tight timelines, and I stop and I go, “What am I doing? I’m not a web designer.” Why did I think designing a website would be something that I could do? Especially considering the website is supposed to be a reflection of our company, which is even more ridiculous, because design is not my skillset. So to say to your question, when you have to wear all those hats, know what you’re good at, try to stay within that, and if you find yourself out of your comfort zone—if you’re really struggling—you’ve got to reach out, you’ve got to either pull someone in from outside, or talk to your team and try to figure out the best way to move forward with something. I find this still takes years to develop. 2-3 years ago I would’ve been struggling with the website for 3 months. Now, it took me 2 weeks to be like, “Really? OK, this is silly.” Next time, hopefully it’s no more than a few hours! Do you have any advice for people looking to begin a start-up? These days I ask people what they are willing to sacrifice. If the answer is everything, you’re probably ready to start your own business. Many people get caught up in the idea of being their own boss or making loads of money without thinking about the incredible sacrifice that’s required to achieve these things. When it comes to a successful attitude, I think determination is the most important factor. There are other considerations: does your idea align with who you are, do you have any experience, and are you passionate about this type of idea—and then, do you have the community around you to help support you in pursuing that vision. But at the end of the day, someone who is very determined is going to bring his or her vision to life. What does success for STATION look like to you? Oh, well, that’s easy! To be the number one coffee cold brew company in Canada. My secret dream for the company is to create a way for youths to step into entrepreneurship in kind of a low risk way, to give it a try, while they’re in school. So if you think about College Pro Painting, picture that model, but instead of painting people’s houses and going door to door, you essentially have a business in a box where, for the summertime, students could run their little own cold brew operation, whether that’s selling off a cart, or wholesale distribution. The way we are right now, that would feel like success to me. What we would be doing, essentially, is kids that normally feel the need to go to a big company, or take a free internship, or if they don’t know where to start, but they have an entrepreneurial urge, we could give them a “safe” kind of stepping stone into that world, so they can try it and see if it something that fits with who they are. That would be super successful. Plus youth unemployment is a big issue, so if we could help tackle that, that would be fantastic. I think in the past, even as a marketer, I underestimated the value of having a good brand. 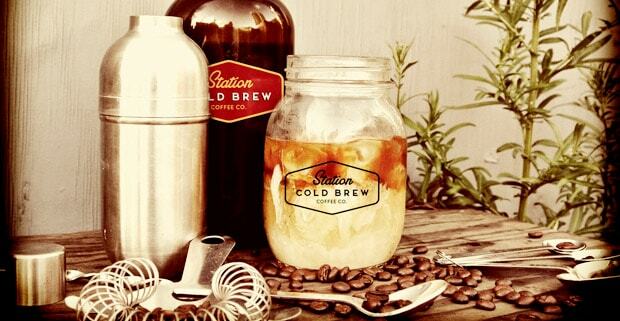 Where can people find out more about STATION Cold Brew or try the product? So we just setup our online delivery system yesterday, which I’m excited about. We just got our first order this morning, which is huge, you know, I’m kind of walking on air this morning—I’m pretty happy about that. So, we only deliver to Toronto—it’s on our site— but you can order cold brew online. You can also go to our website and see our retail partners, like Fresh Restaurants and Jimmy’s Coffee, who are selling our cold brew through their shops. The best way to keep up with us is probably Instagram and Twitter. Is there anything else you would like to add for those looking to start their own business? I would say be patient with yourself. I’ve been doing this for 7 years—failing and making mistakes and all these things—it takes a while to understand what you’re doing. And the longer I’m in this, the more I realize that having the right team is so essential. And, Neil, the thing is, this all sounds so cliché—but it’s true. If I had tried to do cold brew on my own, it would be… we would be nowhere right now. The team is what makes it happen. But the only reason I’m able to get a great team around me is I’m able to fund it through my other business. Also, the learning around branding with this company has been huge. I think in the past, even as a marketer, I underestimated the value of having a good brand. At the coffee and tea show, people would walk in the booth and assume that we’re some huge cold brew coffee company—just because our branding and everything looks professional and on point. And the credibility that comes along with that, and the doors that have been opened as a result, is priceless. Thanks for your time, Steve!